The earth is gradually heating up. Has been for many years. Why? They say, because humans are being irresponsible with our consumption and burning of natural resources, such as fossil fuels. The ozone layer, protecting us from UV rays from the sun, is being depleted. A runaway “Greenhouse Effect” is in our future, and will have horrible effects on the climate of our planet. 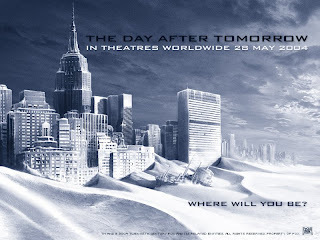 Some even predict an “ice age” brought on by melting of the polar caps. According to these pseudo-scientists, we must avoid this at all costs and change our ways now. 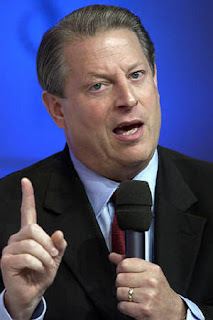 For many years, certain members of the scientific community, in concert with members of Hollywood, have joined forces to warn humanity of this “inconvenient truth.” Movies such as “The Day After Tomorrow” and the recent documentary “An Inconvenient Truth” by Al Gore have attempted to stir up our consciences to conserve and find new ways to power our world. While I believe we should be good stewards of the earth which the Lord has created and given to us, just as we should be good stewards of the bodies, talents, and resources which he has provided us all on an individual basis, there is another agenda involved here. And it is evil. Pure evil. What evil am I talking about? I'm talking about a global tax that you and I will soon be paying if they have their way. Yes, another economic yoke on the neck of the people as prophesied in Revelation chapter 6 under the third seal black horse rider. These globalists would love to tax all people around the world based on their usage of fossil fuels because this would drive us even closer to a new world global government. It would have the psychological effect of making the world one, and generating income for global bodies such as the United Nations, the World Health Organization, and many others. The truth of any rise in the temperature of the earth is due to that big electrical generator we call the sun. The increase or decrease in the rise or fall in the earth's temperature is due to sunspots. The usage of fossil fuels has absolutely no impact on the temperature of the earth. True informed scientists know this is true, and they know these type of increases and decreases in temperature come in cycles based on the presence and intensity of sunspots and other solar activity. But don't tell the global warmists this. They are determined to have you hoodwinked and will stop at nothing to do it. But, there is another piece of the puzzle these Global Warmists are missing. It was revealed to us by a man who was breathed upon by Jesus Christ himself. A man whose mind and understanding the Bible reveals was personally and supernaturally opened by the Lord. A simple fisherman whowas completely immersed in the power of the Holy Spirit on a Pentecost Feast approximately 1,960 years ago. His name was Simon Peter. You wanna talk about global warming? This present earth, according to Peter’s understanding of the prophets and his personal revelation from Jesus Christ, will be destroyed by fire during the day of the Lord’s wrath. Peter further reveals that the elements will melt away with fervent heat. So, what does Peter say should be our response to this prophesied fiery future? Should we man together and do everything we can now to prevent this? Should we store up supplies and hunker down in fear? Should the nations be building deep underground cities and bases to hide from the coming destruction? The promise of his coming, and the coming day of the Lord’s wrath, has been delayed. Why? Because the Lord is patient toward humanity so that all may repent and submit to the King of Kings, trusting in his sacrifice for their rebellion against him by their evil deeds. Have you cast away your pride and had a change of your mind toward God? We are all enemies of God by our pride, and unless we repent, acknowledge him as our Lord, and trust in the sacrifice of Jesus Christ to permanently cover our sinful rebellion, we remain a magnet of God’s wrath. So, the next time you hear about “global warming” on the news or in the media, just remember this little article and smile. Because a new heaven and earth are coming soon. And because you know the truth.